Keeping a clean and tidy fridge can be a bit of a mission in a busy household - especially if your kids are old enough to go in and find snacks for themselves! With lots of people using it, it doesn't take long for a clean fridge to become messy & disorganised.. and when it does, most of us are more likely to want to avoid straightening it out and just run away from it altogether (comment below if you've ever wanted to just move house and start again rather than clean out your fridge)! I know you're busy and it's not a fun job - so today I've got 4 tips to keep your fridge clean - the easy way! 1. 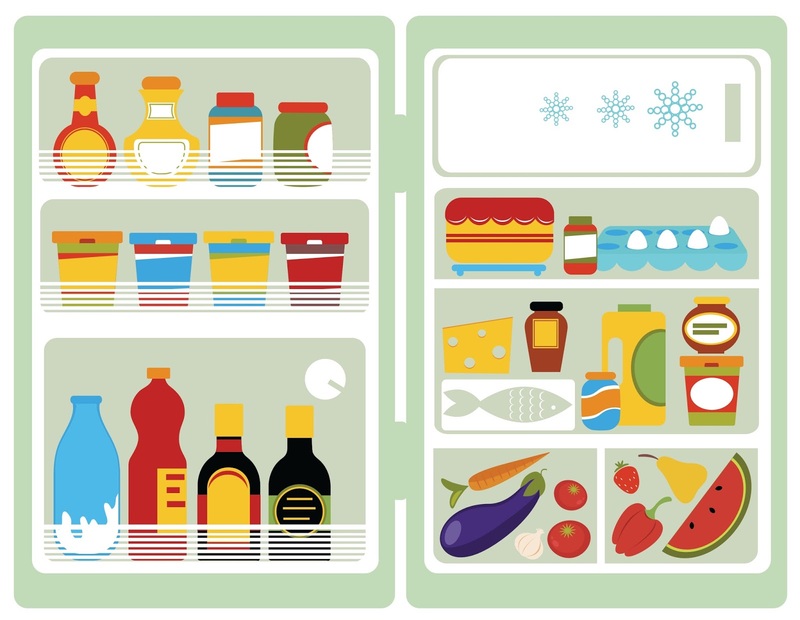 Clean your fridge before you shop: This works best if you shop weekly - the night before you do your grocery shop, go through your fridge and throw out expired items, then wipe down your shelves. Now all you have to do after shopping is just pack in everything new! If you shop more or less than weekly, just pick a day of the week and on that day do your throw out & wipe down. It will prevent the need for a big clean out on grocery day, whenever it comes around. 2. Set a standard timeframe for keeping leftovers: We do 2 days max, so we never end up with containers we're too scared to open! It's also a great way to make sure you're using up your leftovers and not wasting food. 3. Group like items together: Keep raw meats together, dairy together, condiments together, fruit & veg together, etc. It sounds obvious but you'd be surprised how many of us just open the fridge door and throw things in wherever they fit. Grouping like items together means you'll know at a glance what you have and how much of it, making it easier to use up your food before it goes out of date (which means less throwing out and cleaning for you). 4. Line the fruit and veg bin with a piece of paper towel: It will catch those little bits and drips from your fresh food and make it MUCH easier to clean when it's time.